where we celebrate EACH CHILD, combine learning and fun, nurture musical potential and promote true music literacy! Curriculum based on research. 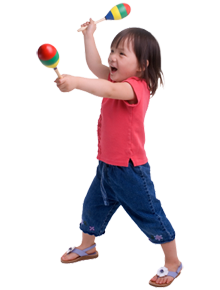 Instruction based on how children best learn music-like language. Philosophy based on nurturing musical potential while building character and community. Instructors experienced and fully qualified with college training.